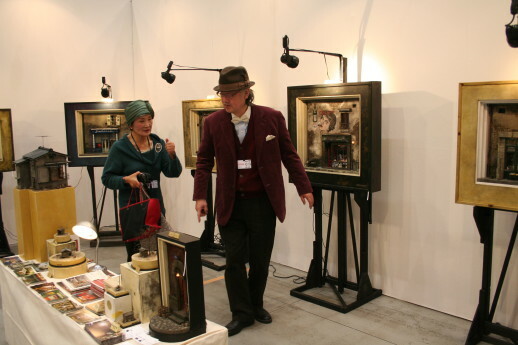 The 2014 preview of Tokyo Art Fair at the Tokyo International Forum was packed and bustling with 145 galleries and numerous designers, craftspeople and artists. Divided into two halls, most of the major galleries of Tokyo and the rest of Japan were represented. 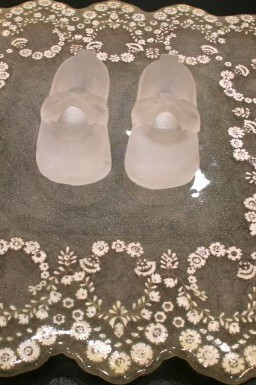 Whether as a buyer or an interested art lover, it was a good opportunity to take in the best of Japanese contemporary art and a chance to see new work from contemporary Asian galleries. While Japan sometimes struggles to make its mark on the international stage, here many Japanese artists and works demonstrated an attention to detail as well as a flare for showmanship and colorful experimentation. This year there was a wonderful interplay of contemporary and traditional works, bringing together historical and modern work under the umbrella, “Artistic Practice: Modernity, Created by Japan,” featuring a wide range of traditional styles and artists. 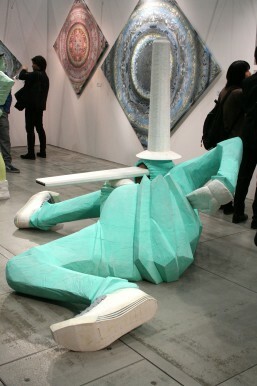 “Tokyo Limited” featured the best of Japanese craftsmanship peppered with more conceptual works. 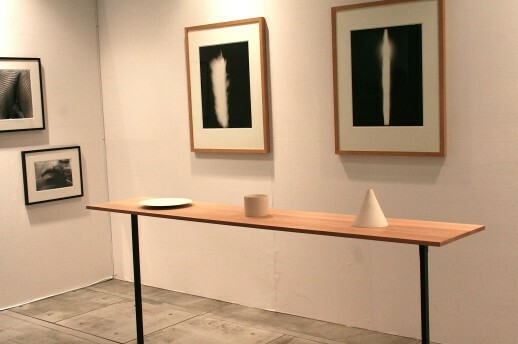 “G-Plus” showcased special projects that represent some of Japan’s finest contemporary art spaces. The weekend-long event itself was also an opportunity to catch a wide range of talks by art scene veterans such as Roger McDonald (Deputy Director, Arts Initiative Tokyo AIT), Daito Manabe (Media Art in the Marketplace) and events such as Chim↑Pom member Ellie`s photobook launch party. 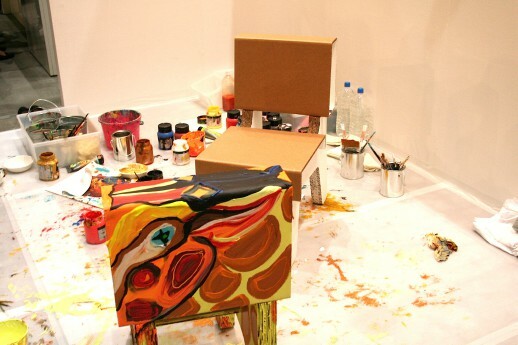 Artist Aki Kondo (ShugoArts) playfully performed some live painting in collaboration with PAP-design chairs. 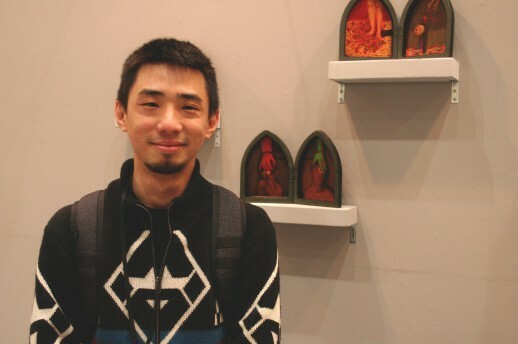 The work of Takashi Hinoda fuses graffiti, manga and a modern twist on the traditional ceramics associated with the early 18th century Rococo porcelain. Swedish curator Päivi Ernkvist, writing in his essay “Porcelain is Fragile”, writes that Hinoda’s work suggests “…Contact with a harmonious universe has been severed.” The idealised figures in the works have become reflective of Japan’s current postwar society. Taiwanese artist Chen Ching-Juan began a series of oil paintings using techniques similar to classical painting. 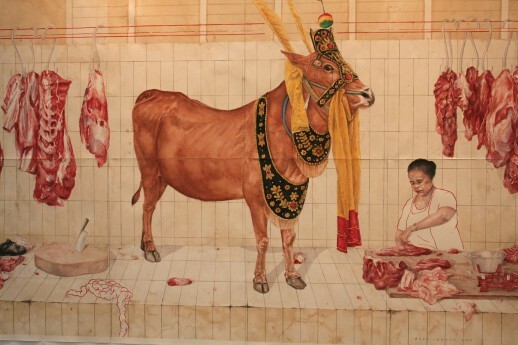 His work is evocative and autobiographical. Stay, and Stop (2014) is a piece that came out of a relationship ending, in which the two stags stand in separate spaces while their antlers entwine. 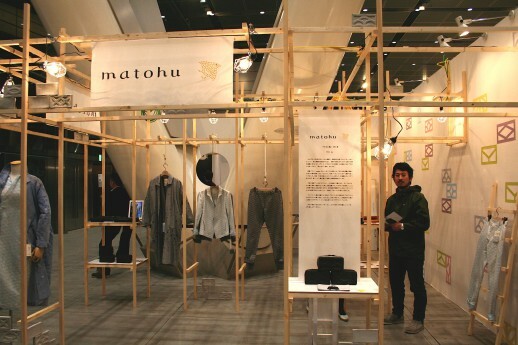 Fashion designers Matohu are exhibiting for the first time and are the only fashion brand at this year’s Fair. There will be a further show at Spiral on March 17th. The theme of this collection is the collection of many small details into a whole. 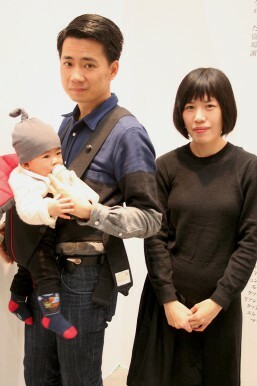 Married artist couple Sheung Chi Kwan and Wai Yin Wong’s work began their latest project, Man ‘s Future Fund with the birth of their son on June 4th 2013. “He is the project”, they explained. They consider it both an investment for his future, a document if his life and art, and hope that he will reap the benefits of their creativity in the future. Art meets life in both an intimate and a financially savvy way. 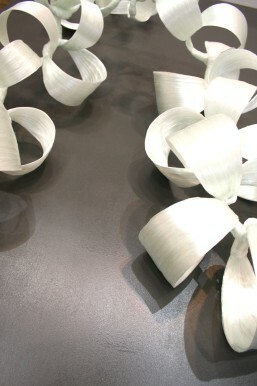 Erika Tada’s piece is inspired by childhood, the idea of crafts, and of a connection between the time taken to create through craft processes such as weaving, knitting, moulding ceramics, etc.